1. Why did Cargill Foods India resort to Sales Force Automation? How did Cargill Foods India go about integrating Sales Force Automation into its sales culture? In a branded commodity business catering to multiple consumer segments with a range of brands and oil categories, focus on quality of reach instead of just quantity is imminent. With a foresight to this, Cargill Foods India has successfully launched the use of technology with its sales team on the ground to map, monitor and construct the quality of reach its brands and range of products command. As a first in the edible oil industry, the company takes step in the path to focus on direct reach instead of indirect reach to push its sales team to move beyond wholesale channels and start serving more outlets per day thereby reaching all consumers. Coupled with data analytics and constant monitoring, Cargill Foods India aims to improve sales efficiency and quality of coverage. 2. What was the trigger for Sales Force Automation deployment? 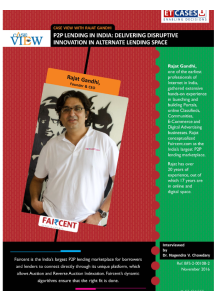 How did Cargill Foods India go about designing and deploying Sales Force Automation? What have been the investments and when do you see the full scale benefits of Sales Force Automation deployment? Business operation in large consumer goods organization like Cargill is very complex. From sourcing to consumer plate it involves lots of processes and timely coordination with each other. There is no room for error as any operational inefficiency arising out of lack of accurate and timely data can shave off precious margin, commitment to consumer satisfaction and affect the entire retail ecosystem that the company serves, including the thousands of distributors and lakhs of retailers who depend on these very margins for their livelihood thereby triggering the need to deploy Sales Force Automation. Cargill Foods India believes in using the best of technology available to enable data driven decision making - something that makes its business more organized and efficient. With the ubiquity of affordable mobile devices, it is possible to get real time data pertaining to sales and market operations. This data can then be sliced and diced to provide highly accurate and intelligent business inputs. What makes all of this possible are two innovations that are digitally transforming businesses the world over — smartphones and the power of cloud computing! With the implementation of Sales Force Automation (SFA), every Cargill Foods India sales professional is enabled with information on fingertips, in and out of the office, empowering smart decision making with which he can be successful. With an investment of INR20 million, SFA technology has been successfully rolled out on all businesses of Cargill Foods India, across the country. Despite the multiple challenges of accommodating all its brands in one Go-to-market platform along with change management required in its implementation, today, about a thousand people in Cargill Foods India’s sales force are using this technology to plan productive beats, feed order, track their incentives, provide market intelligence and above all, they are able to plan demand with more sharpness and accuracy. All business decisions are now taken basis the data generated from SFA. 3. 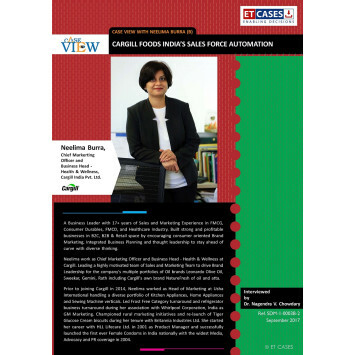 What was Cargill Foods India’s sales approach before Sales Force Automation’s deployment? What have been the major challenges in the earlier system? Manual sales operation techniques were used prior to getting technology in the system. The biggest change with SFA is visible in sales people’s operations style. Earlier, the sales team used to spend a lot of productive time on repetitive administrative job. Unproductive man-hour cost and post facto review is always waste for any organization. SFA enabled our sales force with real time KPI measurement on their smart phone. 4. What have been the challenges in deploying Sales Force Automation? 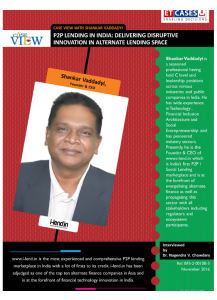 Like any induction phase of such a large scale operation, the launch of SFA faced some initial challenges in deploying, training and resolving the initial glitches that the team was facing. 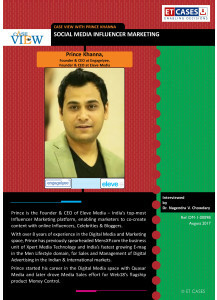 The other challenge was of deploying all the brands in a single go-to-market platform. 5. How did Cargill Foods India go about gaining the traction internally, especially with the sales force while making the transition to technology-led sales approach? With all the above benefits, it was easier to gain traction with the sales force as it was making them more efficient and effective. All it required was a good training and induction, individual hand-holding for ease of adapting technology and lastly follow-up trainings. 6. 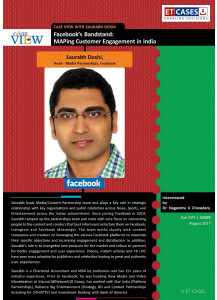 How did Cargill Foods India convince the retailers and wholesalers also to adapt to the technology integration? What were the challenges in getting their support and buy-in for Sales Force Automation? For retailers and wholesalers, SFA is an already established technology used by many FMCG companies. The trust and confidence of retailers and wholesalers on SFA already exists as it brings a lot of transparency to the business. 7. How Cargill Foods India is integrating technology to address the channel inefficiencies? With SFA, Cargill Foods India has access to real-time data which can be analyzed to provide highly accurate and intelligent business inputs. We have placed regular monitoring system and review mechanism to drive sales through SFA. All users have real time performance measurement in the SFA app itself thereby bringing transparency in the entire selling process. Besides the above, SFA also helps in bringing focus on the quality of reach for its brands and making its direct distribution transparent. This technology reduced a lot of time required earlier for collecting and placing the order and order tracking. 8. 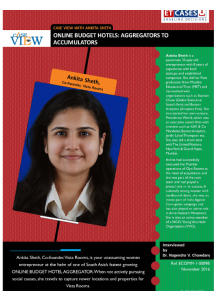 What has been the impact of Sales Force Automation on Cargill Foods India business prospects? Has it yielded the desired benefits at the desired scale of operations? SFA has helped Cargill Foods India in planning and analyzing the direct distribution of its brands. 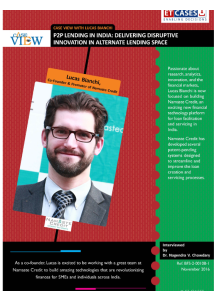 The real-time availability of accurate data has improved the decision making process. With the implementation of this technology, the order-fulfilment data is readily available with us, giving us an opportunity to fulfil customer requirements on an impromptu basis. Today, Cargill Foods India is tracking its sale in over 1,60,000 outlets on a monthly basis through over 1,000 people on ground who are using this technology. 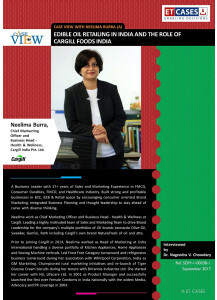 Neelima Burra, Chief Markerting Officer and Business Head - Health & Wellness, Cargill India Pvt. Ltd.
A Business Leader with 17+ years of Sales and Marketing Experience in FMCG, Consumer Durables, FMCD, and Healthcare Industry. Built strong and profitable businesses in B2C, B2B & Retail space by encouraging consumer oriented Brand Marketing, Integrated Business Planning and thought leadership to stay ahead of curve with diverse thinking. Neelima work as Chief Marketing Officer and Business Head - Health & Wellness at Cargill. 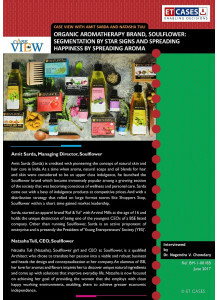 Leading a highly motivated team of Sales and Marketing Team to drive Brand Leadership for the company's multiple portfolios of Oil brands Leonardo Olive Oil, Sweekar, Gemini, Rath including Cargill's own brand NatureFresh of oil and atta. Prior to joining Cargill in 2014, Neelima worked as Head of Marketing at Usha International handling a diverse portfolio of Kitchen Appliances, Home Appliances and Sewing Machine verticals. Led Frost Free Category turnaround and refrigerator business turnaround during her association with Whirlpool Corporation, India as GM Marketing. Championed rural marketing initiatives and re-launch of Tiger Glucose Cream biscuits during her tenure with Britannia Industries Ltd. She started her career with HLL Lifecare Ltd. in 2001 as Product Manager and successfully launched the first ever Female Condoms in India nationally with the widest Media, Advocacy and PR coverage in 2004.